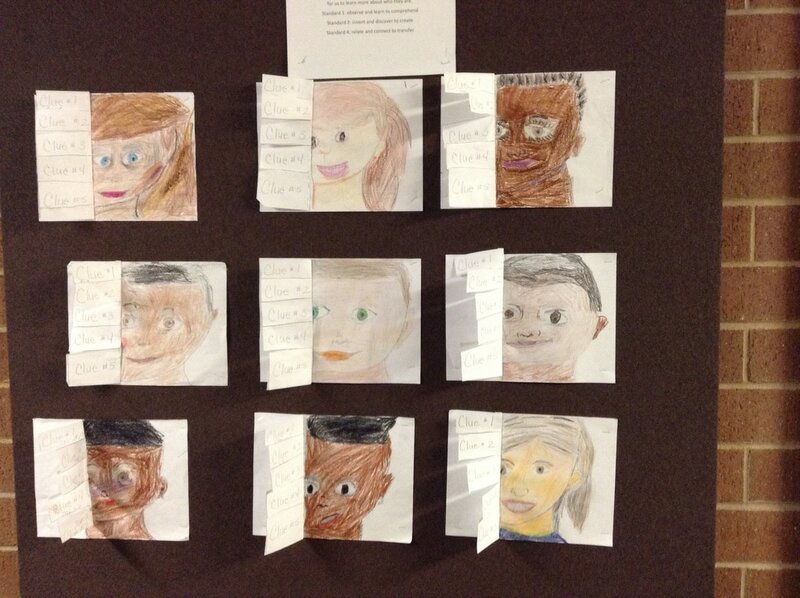 students learned about Symmetry and fractions to create their faces. Students blended colors with crayons and colored pencils to create the colors on their faces. 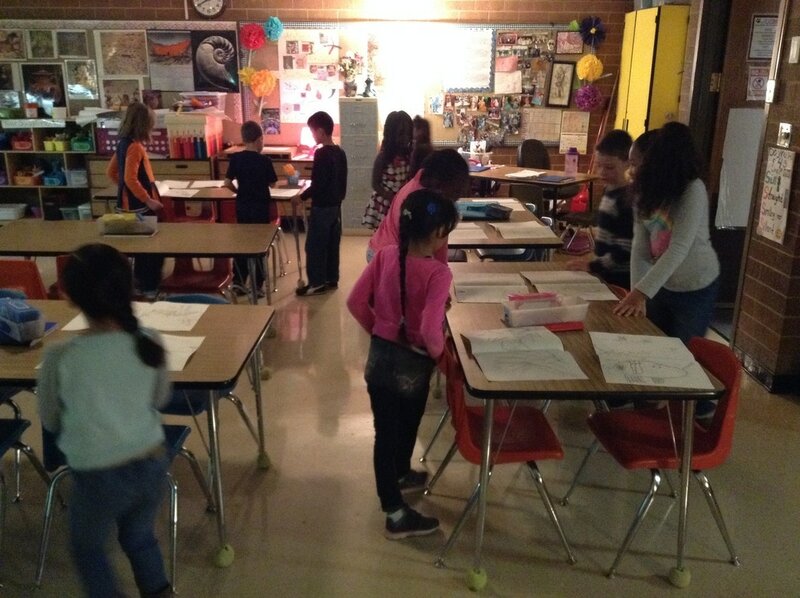 Then students created clues about who they were as artists. This year we had the chance to collaborate with Columbia Middle School and their art teacher. Second graders created creatures with labels and discussed how illustrators create mood, and help to tell stories with their artwork that is not always told in the story. 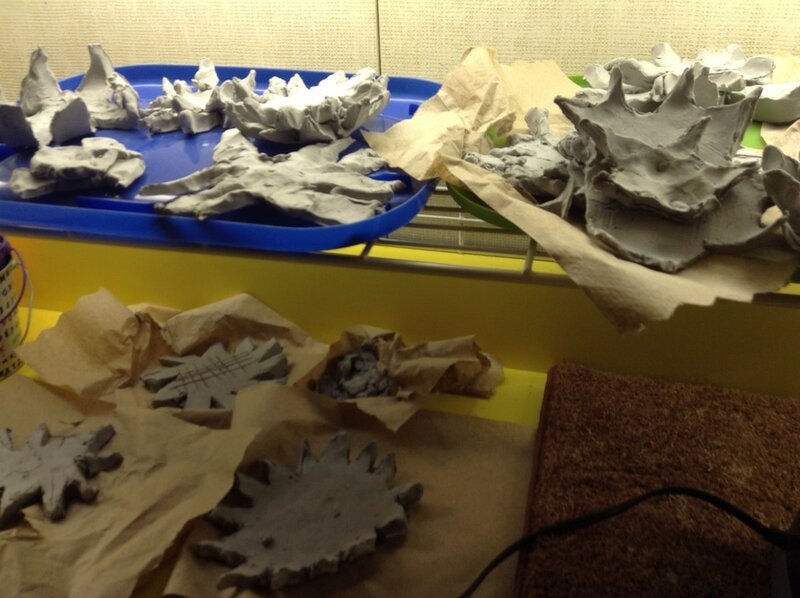 Then the middle school students are to turn their drawings into sculptures. Students learned that the peacock is the national bird of India. Students made the connection to the United States having the bald eagle as their national bird. Then students created peacocks and learned how to paint light and dark with watercolor. 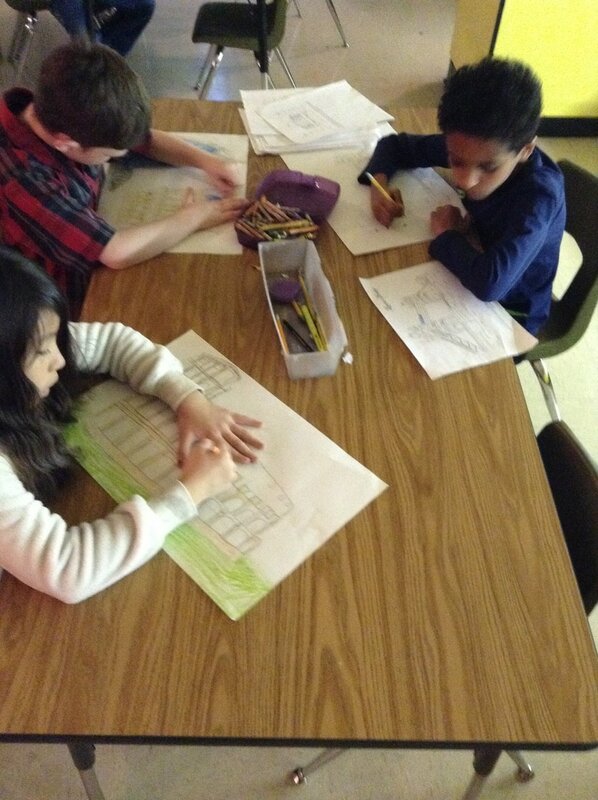 Students were introduced to Claude Monet and the impressionist style. Then students practiced how to create a clay water lilly with modeling clay before creating the flower in their final clay.